Throughout modern history, the philosophical imagination has created the philosophical perspectives of modern materialism, rationalism, empiricism, phenomenalism, historicism, existentialism, pragmatism, hermeneutics, and feminism. Although these schools of thought have their origin in the imagination, we all too often believe these perspectives give us access to truth itself, rather than being ways to make sense of our experience. Truth as something to know will always be relative to the imagination and the perspectives it creates. However, another notion of truth as something to be has emerged over the history of philosophical thought from Socrates to the present that is not relative to the changing perspectives of truth as something to know. 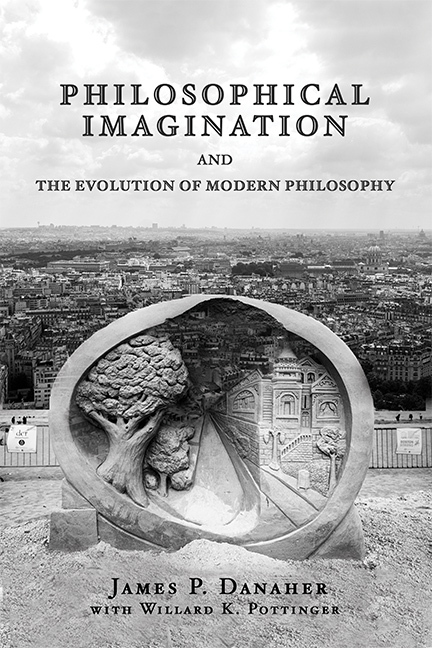 This book distills the evolution of these concepts into an easily readable history of philosophy. "For beginners, it will provide a useful overview of many—possibly even most—of the high points of Western philosophy. For philosophy graduate students and professors, it will provide a lot to think about and (often) disagree with. For theologians, it may provoke thought and comment about what is truly good or valuable in religion and theology.... But in its short 172 pages the book covers an enormous ground.... It is also remarkably well and clearly written, with a minimum of philosophical jargon, so almost everyone should be able to read it without straining to understand what the writer is trying to say. I recommend it without hesitation." —Excerpt from International Journal on World Peace, September 2017, by Lloyd Eby, Lecturer in Philosophy at the George Washington University in Washington, D.C. and at the Catholic University of America in Washington, D.C.
“James Danaher has written a clear, succinct, and compulsively readable history of the philosophical imagination and the evolution of the modern mind. Even more important, he has questioned the usual truth-claims of philosophy and suggested that there is another way to truth that is both higher and wiser. Not to be missed. "—Maggie Ross, author of Silence: A User’s Guide.